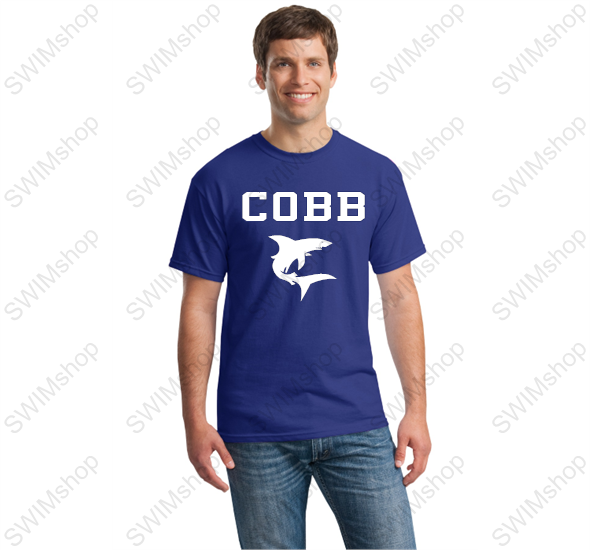 Show your COBB COUNTY STATE TEAM Spirit for 2018. Parents, Grandparents and Swim Siblings! Choice of Driblend 50%poly/50% cotton shirt or 100% Poly wicking shirt -(a woven shirt- not slick poly) All in Royal Blue with White Print. This shirt has a front and back print. Click "View Enlarged Image" for the back print.